Regina Mahone is a vice president and managing editor for Rewire.News, where she oversees daily operations and steers racial justice and immigration content, among other issue areas. Previously, Regina was a staff writer at Philanthropy News Digest, a publication of the Foundation Center, where she covered the nonprofit and philanthropic sectors. Before that, she was a freelance writer and editor in Southern California. Regina is based in Kingston, New York. She earned her BA from The College of New Jersey, where she studied English, creative writing, and gender studies. She was a participant at the 2017 ASNE Emerging Leaders Institute and has presented at the ACES conference, Netroots Nation, and WAM!NYC. She has also moderated discussions with SisterSong and Black Lives Matter. Reproductive rights advocates continue the pushback against a state law banning abortion care after 24 weeks into a pregnancy. Campaigns like the Mamas Day project amplify imagery that allows Black people, including Black immigrant mothers, to see themselves as their communities see them. So-called silent raids, which involve ICE detaining people during their regularly scheduled immigration check-ins, have become increasingly common in the last year. 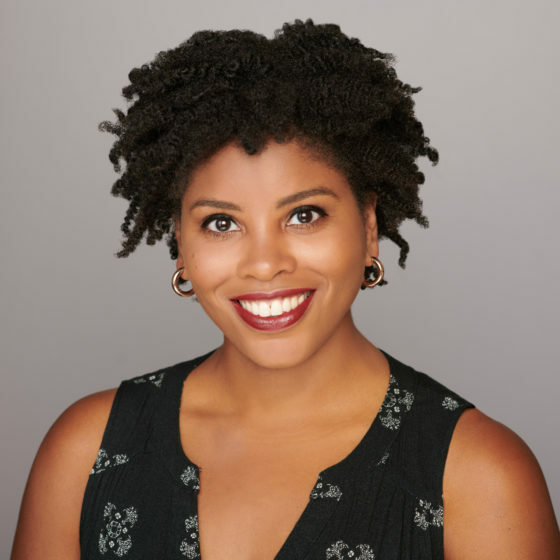 The Black Lives Matter co-founder launched the Black Futures Lab earlier this week "to transform Black communities and the constituencies that are building power in cities and states." Regina and Kat discuss what the Trump administration is–and isn’t–doing to address domestic violence, how rural communities are disproportionately affected by toxic drinking water, and about the Catholic health systems looking to get into the drug business. Also, Kat talks with SisterSong's Omisade Burney-Scott about a campaign to end the practice of shackling pregnant people in North Carolina prisons. Kat and Regina discuss the comeback of a disease, raids on strip clubs in New Orleans, and a lawsuit against policy preventing transgender residents from having a driver’s license that reflects their gender identity. Also, Regina talks with Nina Liss-Schultz about her recent piece at Mother Jones on an underground network of activists helping people to terminate their pregnancies. This week, Kat and Regina discuss a troubling report on AirBnB, the fight against sterilization abuse in Washington state, and new legislation to combat sexual abuse of athletes. Also, Kat chats with writer and activist Raquel Willis about a supermarket chain’s refusal to provide insurance coverage for a life-saving drug. Regina and Kat discuss the pollution crisis in one of the poorest neighborhoods in Orlando, Florida; a fight over installing elevators in New York subways; and how a Portland-based clothing company is taking abortion funding into its own hands. Also, Regina chats with Rewire editor Ali Stine about how snow days can cause major problems for Appalachian parents. Kat and Regina discuss the disproportionately high rates of maternal mortality among women of color in Texas, the Trump administration's latest moves against trans students, and how Chicago is putting religious restrictions above patient access to care. Plus, Kat talks to Sonia Chopra about a Black student in Mason, Ohio, facing racist comments from his white social studies teacher—and what his mother is doing about it. Regina and Kat discuss the news about indigenous activists building tiny houses to stop another pipeline, the discrimination women can face on the job market, and the obstacles Black Boston residents must overcome when accessing health care. Plus, Kat talks to Kathy Bougher about an injustice in El Salvador. Kat and Regina discuss the news that charter schools are more racially segregated than other public schools, Wisconsin is in the running for being the first state to drug test food stamp applicants, and Illinois has launched a new program to combat the opioid crisis. Also, Regina chats with Jasmine Sherman, a clinic defender with Pro-Choice Charlotte, about why she believes Charlotte has become an epicenter for abortion clinic harassment. Kat Jercich and Regina Mahone are back to discuss how Social Security is leaving behind people with disabilities, a spike in hate-based violence against Asian people in the United States, and new solutions to the domestic violence epidemic. "The pro-life versus pro-choice paradigm has so polarized everything, it’s entrenched us in specific positions that don’t allow us to critique and change as we go along," Smith told Rewire in a recent interview. "RJ is a model not just for women of color, nor just for achieving reproductive freedom. RJ is a model for organizing for human equality and well-being," writes author Dorothy Roberts in her foreword to the new anthology. Rewire managing editors Regina Mahone and Kat Jercich explore this week’s important underreported stories. Rewire managing editors Regina Mahone and Kat Jercich explore this week’s important underreported stories. Plus, Regina interviews Vilissa Thompson about parents with intellectual disabilities fighting discrimination in New York City, and Kat's parents are in town. Rewire managing editor Regina Mahone talks with immigration reporter Tina Vasquez about a breaking development for Minerva Garcia, a North Carolina woman who had been forced to take sanctuary in a local church to fight her ICE deportation order. Where is Minerva now, and what lies ahead for her and her family? Rewire managing editors Regina Mahone and Kat Jercich explore this week’s important underreported stories: the Department of Veterans Affairs glossing over alarming new data, the opioid crisis leading to kids left behind, Chicago giving its last Black-owned bank an investment bump, and the Eighth Circuit putting a stop to new abortion services in Missouri. Rewire managing editors Regina Mahone and Kat Jercich explore this week's most important underreported stories: the major natural disaster that's not a hurricane, alarming trends in racial wealth divides, a new entitlement proposal in Congress, and Tom Delay's newest efforts to thwart the Constitution. Sheryll Cashin's new book, Loving: Interracial Intimacy in America and the Threat to White Supremacy, is perfectly timed and should be consumed in its entirety by those seeking a deeper examination of how white supremacy worked historically. Matt McGorry spoke with Rewire about his experience working at the intersections of Hollywood and activism, how personal fitness is nothing like social justice awareness work, and why more men should care about targeted regulations of abortion providers. 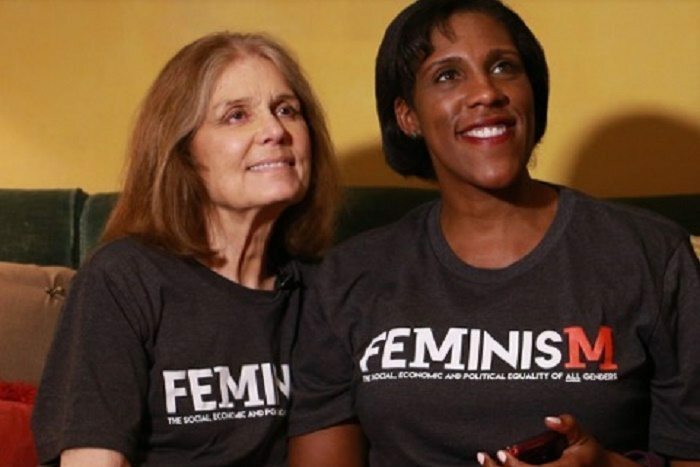 I recently chatted with the Ms. Foundation's Teresa Younger about its new "MyFeminismIs" campaign, the importance of lifting up all-inclusive feminism, and the role of foundations in bolstering movement building. 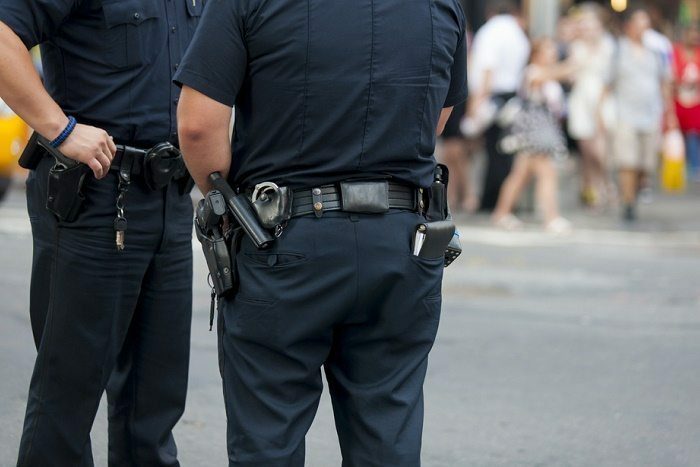 The officer confronted a crowd of activists who had begun locking arms and chanting in protest over the way he forcefully detained a 14-year-old. “The crowd was determined that the youth would NOT be harmed or killed and were fierce, as we know it’s a real possibility,” explained one witness, Kimberly Ellis. Doing social change work is scary and will make you uncomfortable; it will change you, for better or for worse. But that’s part of what showing up and taking a stand means. And what choice do we have? #BlackSpring is here: the uprisings happening in cities nationwide as part of a collective fight for racial justice in all areas of Black lives. A recent police shooting in South Carolina illustrates the importance of video when it comes to issues of race and policing. It also reminds us, however, that video alone is not enough to overcome or combat the violence resulting from implicit bias. “Youth” is just one of many identities we experience during our lives, and stigmatizing or shaming a person because of age fails any social movement fighting against oppression. While the media has moved on from Piers Morgan's awful interview to the next topic du jour, many of us are still getting around to unpacking Janet Mock’s story and the struggles facing trans people that, unfortunately, continue to be overlooked by mainstream media for the more “titillating” aspects of their stories. 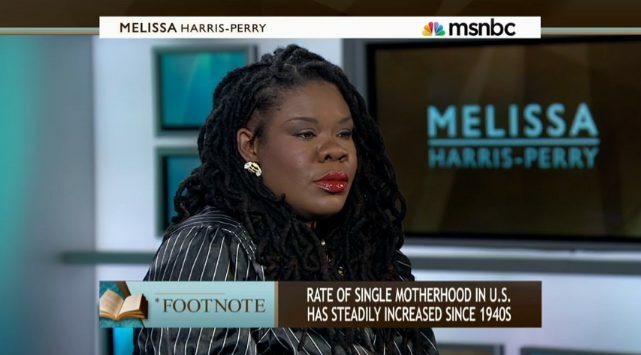 Fields drew attention during a recent live-streamed conversation between bell hooks and Melissa Harris-Perry, when she asked about the tearing down of Black unmarried mothers by other Black women. Rewire spoke with her about being a woman of color leader, stereotypes placed on Black unmarried mothers, and more. Feminism needs to center the experiences of all women of color in the movement. As a starting point, here are some suggestions from several smart women. Ensler's letter to Martin was not the right place to push an agenda about a campaign to end violence against women, especially without first acknowledging the fear many people are taught to feel about men of color—a fear that is just as present in the women’s movement as it is in each of the United States of America.